PARIS — EchoStar Corp.’s Hughes division on Nov. 6 reported that larger numbers of subscribers were quitting its U.S. consumer satellite broadband service but that those remaining were generating higher per-subscriber revenue. In a conference call with investors, EchoStar officials said that in addition to the Hughes U.S. broadband business, they are positioning the company to capture the growing demand for broadband regardless of what form it takes. Chief Executive Michael T. Dugan talked about the potential of balloons, high-altitude platforms and low-orbiting satellite constellations. Englewood, Colorado-based EchoStar is investing heavily in satellite broadband initiatives in Europe and Brazil. Both are scheduled to begin service this year despite the fact that EchoStar has yet to spell out exactly how, and with whom, it will build the businesses. EchoStar and Hughes have leased the Ka-band capacity on Paris-based Eutelsat’s 65 West A satellite, set for launch by next July, saying they will attempt to duplicate their U.S. success in Brazil. The Eutelsat payload has enough capacity to service 300,000 Brazilian broadband customers, Hughes President Pradman P. Kaul said during the conference call. In Europe, EchoStar is one of two companies with European Union licenses to operate an S-band mobile satellite service, with the EchoStar 21 satellite. The service also requires individual approvals in all 28 EU member nations, a process that EchoStar has said is onerous and in need of harmonization. 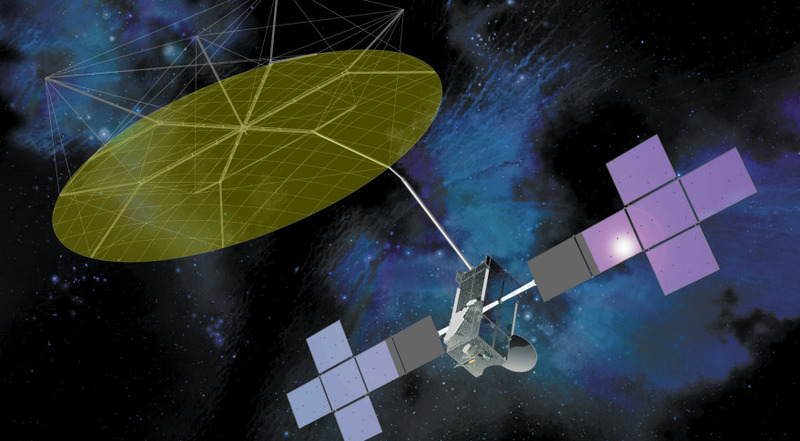 EchoStar 21 is scheduled for launch by mid-2016, with initial services to be offered later that year. EchoStar has declined to disclose what services it will offer from the satellite and a network of ground-based signal repeaters. Competitor Inmarsat of London has said its service will provide broadband connectivity to European airline passengers and has lined up cellular network provider Deutsche Telekom as a strategic partner. Anders N. Johnson, president of EchoStar Satellite Services, said Inmarsat’s progress could encourage EU nations to speed up license harmonization to the benefit of both companies. In a Nov. 6 filing with the U.S. Securities and Exchange Commission (SEC), EchoStar said it recently transferred its EchoStar 21 launch contract to a Hughes subsidiary in Britain to comply with British regulations. The British subsidiary will also have rights to operate the satellite once in orbit. EchoStar investors are accustomed to the company’s investing in advance of a firm business plan. EchoStar purchased, at a Brazilian government auction, rights to use a Ku- and Ka-band orbital slot at 45 degrees west, saying it would develop a satellite television business from there. Four years later, the business is still not clear. More recently, Hughes invested about $50 million in OneWeb Ltd., a startup company planning a low-orbiting constellation of some 800 satellites in return for the future contract to build OneWeb’s 50 gateway Earth stations, one-third of OneWeb’s user terminals and a right of first refusal on OneWeb capacity over North America, Brazil, Europe and India. EchoStar’s U.S. satellite broadband business is still growing, but slowly as the company awaits new capacity. The EchoStar 19/Jupiter 2 is scheduled for launch in late 2016 aboard a Lockheed Martin Commercial Launch Services Atlas 5 rocket after EchoStar canceled a contract with Europe’s Arianespace for an Ariane 5 launch earlier in the year. Evry, France-based Arianespace, which typically launches two satellites at a time aboard the Ariane 5, told EchoStar that EchoStar 19’s delivery date had slipped to a date at which Arianespace had no launch opening. In the SEC filing, EchoStar said it had received a $105.8 million reimbursement for its canceled launch. The HughesNet U.S. satellite broadband business signed on 107,000 new subscribers in the three months ending Sept. 30. But 96,000 subscribers quit the service during the same period, resulting in a total subscriber count of 1.025 million, up 1 percent from where it stood three months earlier. The company said the churn rate — over 3 percent per month for the three months ending Sept. 30 — was due to multiple factors, which it declined to name, and that the HughesNet broadband service offering is being modified to address the problem. 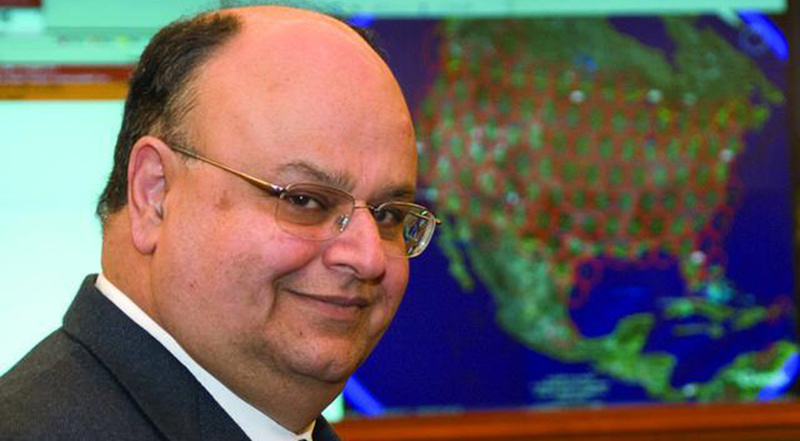 Kaul said that despite the high subscriber defection rate, the HughesNet business, especially its newest Gen4 service, generated higher per-subscriber revenue in the three months ending Sept. 30 than a year ago as customers opted for higher-speed bandwidth plans.